I didn’t have a chance to take a picture of the groceries this week as I made three stops in a row and therefore had to get the items from the first stop into the fridge / freezer rather promptly when I got home. But, here’s a list of what I got from the three stores combined. 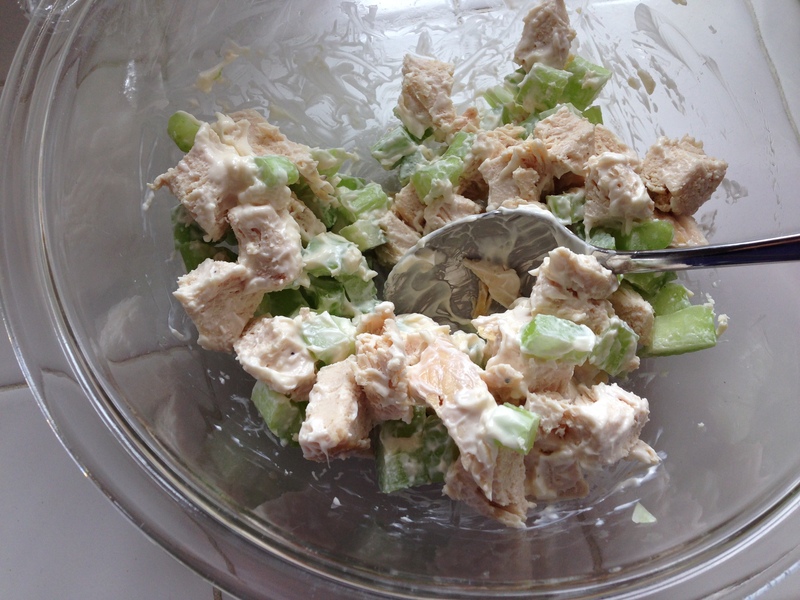 I did make some chicken salad to use up the leftover roasted chicken from last week.